World Match has increased its market share in Italy after its games went live on Goldbet.it. 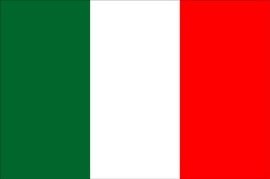 The Italian online gaming site now features more than 100 casino games, poker platform and bingo. “We're very pleased with our games going live on Goldbet, because it is one of the top .it operators and because this partnership reaffirms the trust in our company and products,” said Andrea Boratto, executive director of World Match. Goldbet is also set to offer the World Match’s Network Jackpot, a pooled jackpot connected to different online casino operators.